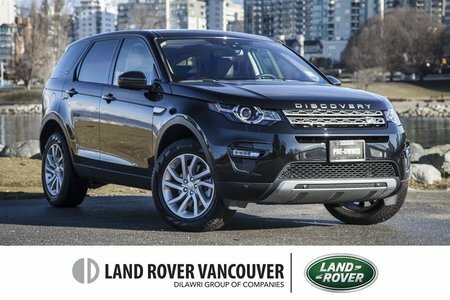 Our incredible 2018 Land Rover Discovery Sport HSE 4WD in Santorini Black has been masterfully engineered to meet the demands of your active lifestyle! Powered by a TurboCharged 2.0 Litre 4 Cylinder that offers 237hp while matched with a paddle-shifted 9 Speed Automatic transmission. With this Four Wheel Drive looks commanding and scores near 9.3L/100km plus provides the ability to tow heavy loads while dominating the road. Thanks to the well-proven Terrain Response four-wheel drive system you can go where few would ever venture into this incredible SUV! The Discovery Sport HSE has a commanding presence with an overall sense of confidence enhanced by xenon headlamps with LED signature. The versatile interior pampers you with space for all of your gear as well as a wealth of amenities including passive entry, grained leather seating, a fixed panoramic roof, two-zone climate control with air quality sensing, Bluetooth, an eight-inch infotainment colour touch screen, navigation, leather steering wheel, and more! 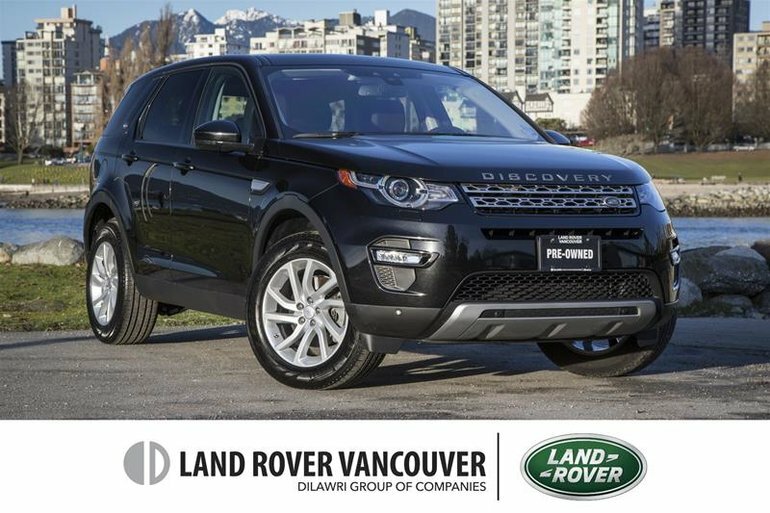 Our Discovery Sport has achieved excellent safety scores thanks in part to anti-lock brakes, rear view camera, stability and traction control, front side airbags, a driver knee airbag and side curtain airbags. You'll also appreciate the added peace of mind provided by the rear camera, parking sensors, hill descent control and hill start assist. 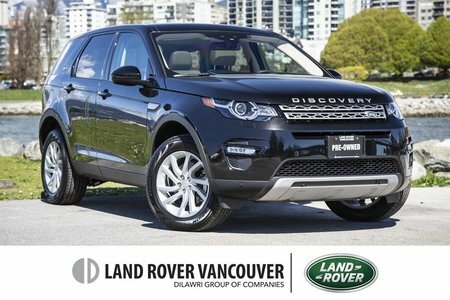 With all the capability, comfort, and charisma you desire, out Discovery Sport is an ideal choice! Print this page and call us Now... We Know You Will Enjoy Your Test Drive Towards Ownership! 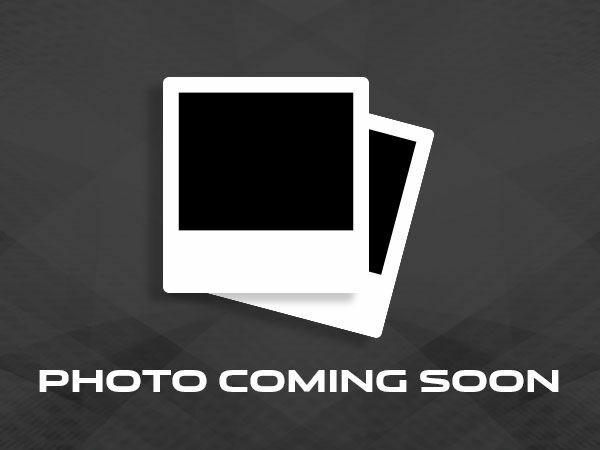 *MCL Motorcars is a downtown Vancouver Dealer. Due to space limitations, all Pre-Owned vehicles are kept off-site - Please book your appointment today so we can bring your vehicle on site before for your arrival. All Prices are plus $595 documentation fee.